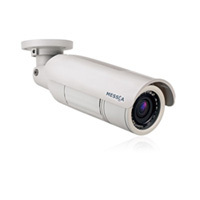 Messoa has just announced the addition of the NCR878 IR bullet network camera to its 5MP camera line. The NCR878 features 5MP image sensor optimization for performance in low light situations and delivers high-quality image sharpness and view coverage for 24/7 surveillance. In addition to that, this camera also comes with a built-in IRF illuminator, allowing up to 20 meters of range, making the NCR878 perfect for outdoor surveillance. Moreover, this camera is also backed by proprietary Lumii Technology to optimize its low light performance. The NCR878 also comes with a plethora of intelligent detection functions, as well as face detection that can trigger alerts to users and take configurable actions upon capturing the face of an unwanted intruder. Changes in lighting conditions are detected by an integrated IR Cut Filter Removable function, which switches between color and black-and-white when low light is detected. The NCR878 also supports DC Iris control, which enables the camera to adjust the iris accordingly and respond to any sudden changes in light levels, giving you optimized sharpness at all times. IP67-rated weatherproof housing and protective rain guard also allow this camera to be used in a variety of different outdoor locations while the cable management design prevents the cables from being exposed, eliminating damages from rain and other elements. 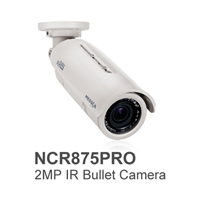 If you are looking for an all-around outdoor IR bullet camera for 24/7 surveillance then the NCR878 from Messoa is one you should look into. It is capable of withstanding harsh elements and can be optimized to fit almost any surveillance situation, not matter what your need may call for. Messoa Technologies Incorporated has just introduced the outdoor-ready 2 megapixel network bullet camera known as the NCR875PRO. This device is engineered to provide full 1080p HD smooth video streams at 30.25 full frames per second and is the perfect solution for outdoor applications where details are a priority. The NCR875PRO strengthens any security system it is incorporated into by ensuring critical moments are captured and that no missing or dropped frames occur that will prevent you from collecting important evidence, should the need arise. The one thing you never want to happen is for something bad to go on and your cameras fail to capture it on video. The Messoa NCR875PRO, with full 1080p HD 2 megapixel resolutions, captures smooth HD video no matter where it is mounted or what it is recording in a 16:9 aspect ratio. This allows a much wider coverage as well as finer details. The combination of the IR illuminator, mechanical IR-cut filter and proprietary Lumii imaging technology form a powerful trio for adapting extreme lighting changes throughout the day. Images are still able to be captured in superior quality, even in complete darkness. This camera, which is also ONVIF-compliant, supports triple streaming, enabling the user with more flexibility in resolutions, frame rates and video quality to suit different bandwidth, platforms and back-end storage requirements. 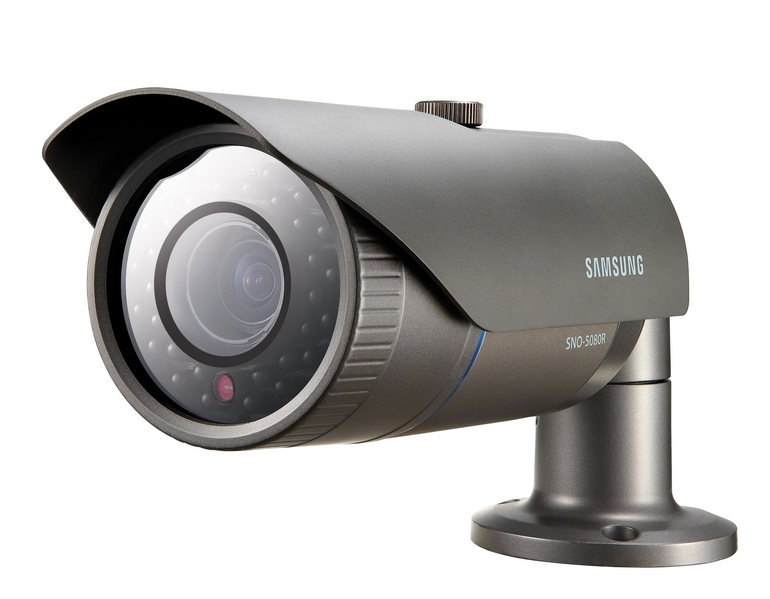 In addition to that, this camera has an IP-67 rated housing and a cable-concealed bracket to protect itself from unfavorable weather conditions and tampering. Other advanced features include things like intelligent video management, PoE, two-way audio and the micro SD/SDHC card slot that will facilitate easier installation and deployment. The NCR875PRO from Messoa provides a comprehensive outdoor surveillance solution for detail-demanding applications that constantly require precise monitoring and detail identifications. The NCR875PRO from Messoa is available for shipment now from Messoa’s website. DVD Video Projectors are exactly what they sound like. A combination unit that combines a DVD media player with a video projector, cutting out the need for multiple pieces of electronics and wiring.